Taylor Goldsmith and his band Dawes latest album release. 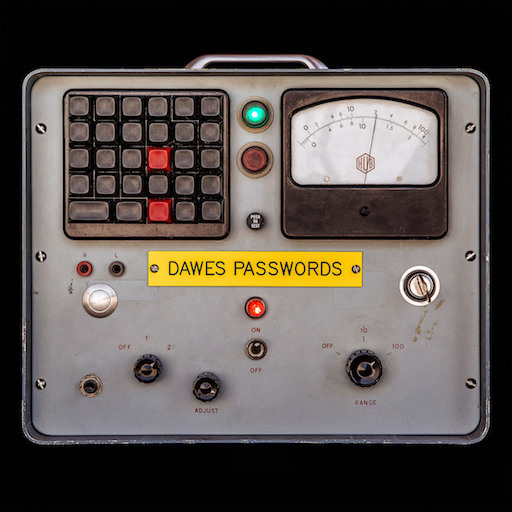 “Passwords”, This Is Dawes’ sixth studio album, It features 10 new soft-rock songs indebted to Laurel Canyon circa 1972 and in particular the sound of Jackson Browne, with plaintive melodies, soothing piano and lyrical platitudes that are just unspecific enough to feel relatable, like the scenarios in self-help books. There’s the earnest, if self-satisfied, attempt to find common ground on “Crack the Case,” where Goldsmith murmurs rueful lyrics as piano and acoustic guitars mingle behind him. His regretful would-be lover on “Mistakes We Should Have Made” wishes he’d gone for the kiss despite the obstacles, his ardor framed by the prominent snap of a snare drum pushing a mix of acoustic guitar and keyboards, with distant backing vocals from the girls of Lucius. “Feed the Fire” slides around on a slippery guitar riff and shimmery synth parts, and Goldsmith reflects on empty ambition at the top of his vocal range in a way that calls to mind Private Eyes-era Hall & Oates. 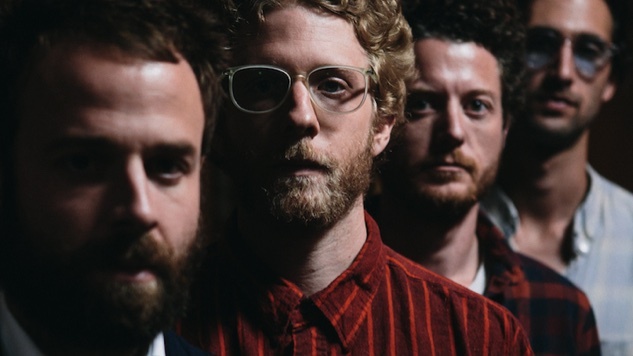 Passwords, inspiration pulls guitarist/ singer Taylor Goldsmith, drummer Griffin Goldsmith, bassist Wylie Gelber, and keyboardist Lee Pardini into their most universal, topical territory to date. This is a record about the modern world: the relationships that fill it, the politics that divide it, the small victories and big losses that give it shape. Taylor’s writing is personal at points – the result of his recent engagement, which lends a sense of gravity and self-reflection to album highlights like “Time Flies Either Way” and “I Can’t Love” – but it also zooms out, focusing not on the director himself, but on everything within the lens. Some artists are naturally loathe to discuss their work in microscopic detail, lest any telling trade secrets be revealed. Not perpetually-disheveled Dawes frontman and main songwriter Taylor Goldsmith. At the mere mention of the Los Angeles group’s slightly sinister new sixth set Passwords, he sings like a canary over every last nuance of the Jonathan-Wilson-produced set, which opens with the Brontosaurus-stomping “Living in the Future” and the abject ode to apathy and ennui, “Stay Down.” And he holds nothing back.